The secret to healthy, lush green grass is to mow your lawn correctly. Trust the professionals at Greenbloom to help you get the perfect results. We know the significance of cutting the grass and have the knowledge to get it right. It is best to mow when your lawn is dry. Early evening is the best time to mow the lawn, lawns are usually wet in the early morning with moisture from dew or fog. Wet clippings can also clog your mower and dump clumps of grass on your lawn, if they are not raked up they can smother the growing grass resulting in brown spots. Don’t mow on a schedule if possible, mow when your lawn requires it. Make sure your mower blades are sharp, dull blades can cause the grass to weaken over time, this makes it more susceptible to disease, insect damage, heat and drought. Wash/rinse your mower after use. Why Do We Need To Mow? 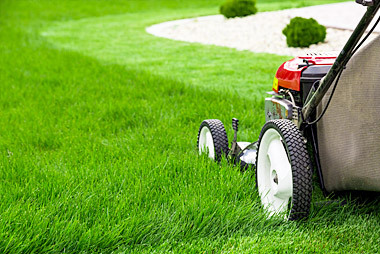 It is an essential aspect of lawn care. Helps eliminate pests from the grass. Removes debris accumulation in the yard. Helps spread out the resources uniformly. Plant matter leftover after mowing acts as compost and helps revitalize the soil. Enhances the aesthetics by keeping the grass fresh and green. How Short Should You Cut Your Lawn? Discover the perfect height of your turf and stick to it. Allow it to grow around one-third longer than its original height before you decide to mow it. Do not cut more than one-third of its height at a time. What Happens If The Grass Is Short? If the grass is cut too short, it becomes susceptible to drought, weeds, and heat damage. Why Shouldn’t You Keep It Long? It might create a habitat for pests such as mice, mosquitoes, and snakes. Long grass is harder to mow. It might require more work such as raking to care for later. 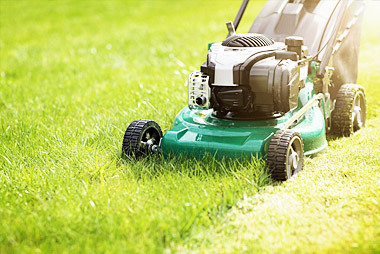 Why should you change directions every time you mow? Mowing in the same direction (causes the grass to grow in the same direction you are mowing) Changing your mowing pattern prevents this. Causes less damage to your lawn. How Do You Mow Sun Grass? The grass may require up to three mows a week. Mow it in the evenings when the sun is low as it allows the grass time and shade to heal. How Do You Mow Shade Grass? Cut ½ – 1 inch more than sun grass. It will help distribute the light evenly and cover more leaf area. Why Does Slightly Longer Grass Inhibit Crabgrass Growth? Crabgrass thrives when there is abundant light available. Taller grass will shade the soil and make it less ideal for the growth of this weed.